This maple blueberry sauce is my go-to for pancakes, Dutch babies, and dairy-free cheesecake ice cream! 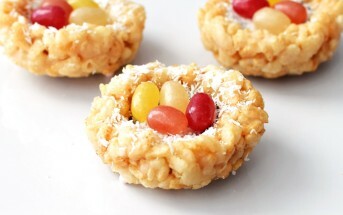 It takes just minutes to make, but offers naturally sweet versatility. 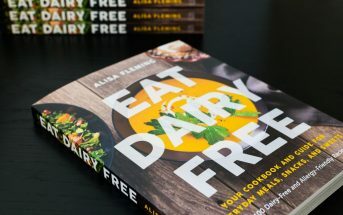 By ingredients, this recipe is dairy-free / non-dairy, egg-free, gluten-free, grain-free, nut-free, peanut-free, soy-free, vegetarian, and generally top food allergy-friendly. 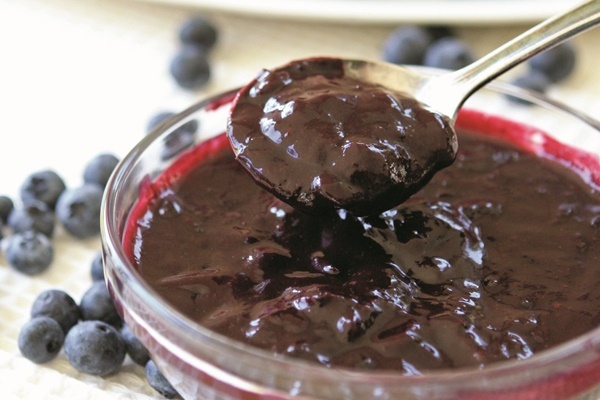 For paleo maple blueberry sauce, substitute tapioca flour for the cornstarch. Place the blueberries, sweetener, and salt in a small saucepan and stir to combine. Bring the mixture to a boil, while whisking. The blueberries will begin to release their juices. Reduce the heat to a simmer, and allow the mixture to cook for 5 minutes, checking in to give it a stir every minute. Some of the blueberries will pop as they cook, releasing more juices. In a small dish, whisk the water and cornstarch until dissolved. Whisk the mixture into the blueberry sauce. Bring the sauce back to a low boil, and allow it to boil for 2 minutes, while whisking. It should thicken up nicely. Remove from the heat and whisk in the lemon juice and vanilla extract. Let sauce cool before serving.